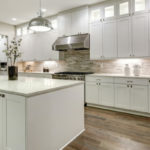 Kitchen renovations increase the value of your home while making your kitchen more efficient and beautiful, but you might be surprised to learn that kitchen renovations can also improve your health. The latest 2017 Houzz Kitchen Remodel Survey revealed that 1/3 of homeowners report living a healthier lifestyle after remodeling their kitchen. 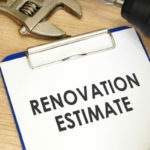 There are several leading factors prompting this correlation between remodeling your kitchen and improving your health. One reason kitchen renovations improve your health is because they prompt you to cook more at home. When you enjoy your kitchen, you are going to want to spend time in it. That means you’ll end up cooking at home more often than eating out. Eating out at restaurants is incredibly unhealthy. Even if you think you are ordering something healthy, chances are it’s nowhere near as healthy as something you’d prepare at home. Most dine out options are just as bad as fast food, even if they look and taste a lot better. You can lose weight by simply eating out less and eating at home more. Easier said than done, unless you’ve got a beautiful new kitchen you’re excited to break in. 76% of respondents report cooking at home 5 or more days per week post-kitchen renovations. 18% of respondents report cooking 3-4 days per week post-kitchen renovations. And just 6% of respondents report cooking less than 3 times per week at home post-kitchen renovations. 34% of respondents admit to ordering less takeout post-kitchen renovations. Takeout is just as bad for you as eating out, but it’s even easier. No need to get ready, shower or style your hair for takeout! Plus, people tend to eat more food when they order takeout than they would at a restaurant simply because they are more comfortable in their own home… and probably wearing sweatpants as opposed to belly-pinching skinny jeans. 26% of respondents reported eating more fruits and vegetables after remodeling their kitchen. 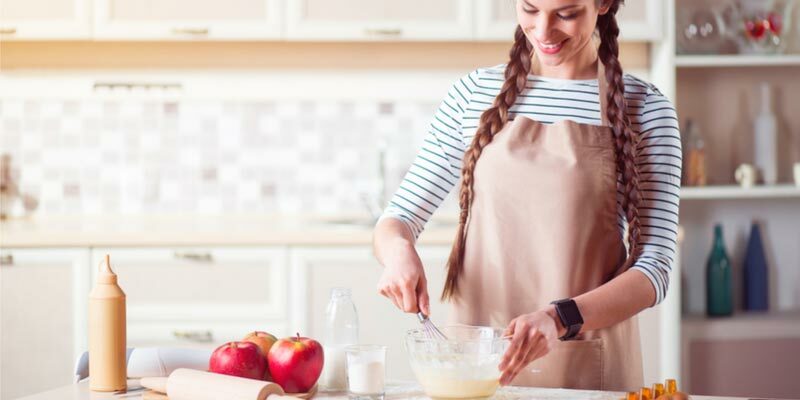 It seems a little odd, but there’s clearly a strong connection between eating more healthy foods and remodeling your kitchen. Eating more at home translates to eating more things from your local supermarket, like fruits and veggies. 49% of respondents reported spending more time together as a family after completing their kitchen remodel. 29% reported more sit-down meals with their family. Families often bake together; 32% of respondents said they bake more in their newly renovated kitchen than they did in their old kitchen. All of these things add up to a healthier lifestyle for you and your family. 40% of respondents reported an increase in entertaining after renovating their kitchen. Entertaining is good for the soul. Being around your friends and extended family can bring a lot of joy and fulfillment into your life. When you have a beautiful new kitchen to show off, you’re going to want to entertain more. When you feel happier you’re more likely to remain healthy, so renovate that kitchen and start planning some parties! 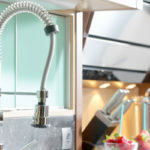 If your job offers you the flexibility to work at home, you might find yourself taking advantage of the opportunity more often after you renovate your kitchen. 32% of respondents noticed an increase in working from home after remodeling their kitchen. This can be good for your family, because even though you are working at least you are together. It’s also nice to take a break from the office stress every once and a while and work in the peace of your personal dwelling. 67% of homeowners said that they live an equally healthy lifestyle after remodeling their kitchen, while 33% reported healthier lifestyles post-renovations. You can improve the look, feel and functionality of your kitchen AND improve your health without breaking the bank. Simply purchase your cabinets, countertops and a number of other accessories from us! 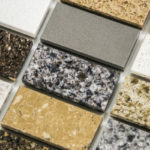 We sell the highest-grade materials at wholesale prices your budget will love.